This lovely waterfront property offers many possibilities. 3 parcels totaling 9+ acres sited on Island Creek. One parcel is improved with the original 4-bedroom farmhouse, a 3-bedroom rancher and several outbuildings. 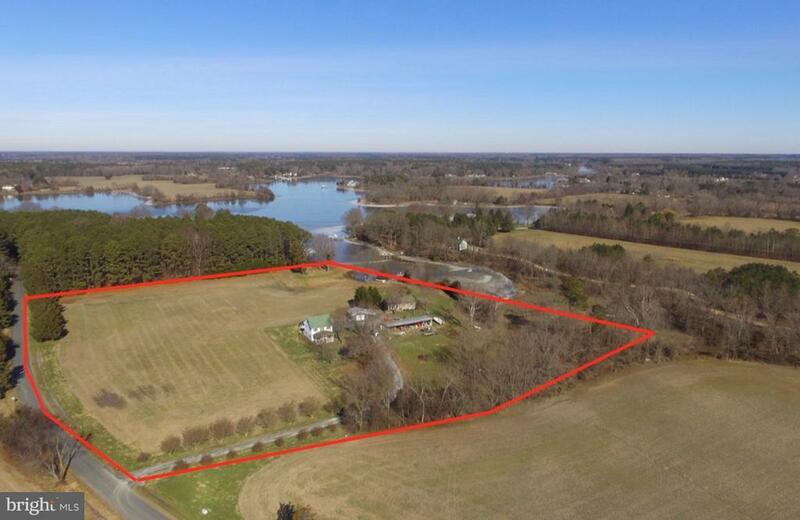 The adjoining 4.12 acre waterfront parcel offers the potential to build. Current soil reports available. Dock with 3~MLW. Farmhouse offers the original hardwood floors and has many updates including windows, doors, siding & front porch. The rancher was built in 1999 offering a nice covered porch with incredible waterviews. Perfect spot for a family compound, a farmette & ideal for horses! Don~t let this property pass you by! Directions: Sanderstown Road, right on Island Creek Road, continue on Island Creek Road by baring right, right on Baildon, property will be the first drive on the right. Selling Agent: Herschell B Claggett Jr.